Sneaky chef or using leftovers? Anyway, so I found a pound of grass-fed ground beef (was $4 a pound, so is a cheaper way to do grass fed…) in the freezer, an onion and tomato sauce. I thawed the beef, chopped and sauteed the onion, added the tomato sauce, a teaspoon of Italian herbs, a little salt, sugar and pepper and simmered away stirring occasionally. I said, “That’s how I made them tonight. Tell Daddy about your playdate!” She went right on eating. My concession would be if you are dealing with serious sensory integration or texture acceptance or medical/oral motor issues, or if your child is nutritionally not cutting it, then supporting good feeding practices with purees or smoothies is an option during the transition. For most typically developing kids going through a picky stage or reacting negatively to feeding pressure, sneaking hurts more than it helps. I would also be very careful not to lie, remember the feeding model I work and live in isn’t called the Trust Model for nothing! If you sneak, be sure to keep offering the real thing over and over, without pressure in a pleasant and structured setting (preferably family meals) so your kids can learn to like new foods. Do you have sneaky confessions? Do you “sneak” and will you keep doing it? Did it help in a transition period? I have been adding minced carrot and bell pepper to my spaghetti sauce for a while now, and sometimes add pureed zucchini…but just to enhance flavor and nutrition for all of us. My kids go back and forth on eating all sorts of vegetables, and the preparation is key- the eldest loves raw spinach salad but hates it cooked (I have to say I lean that way as well). The youngest adores steamed broccoli, but wouldn’t touch it raw! I think using purees creatively for increased nutritional content is totally fine, as long as you are staying honest with yourself and your kids. 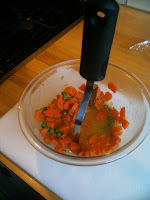 I let my kids push the button on the food processor when I make any recipe that I could add veggies to. I have a fun turkey meatball muffin recipe that calls for all sorts of things. They love it and put all the veggies in there for me, nibbling on them as they go…great way to get them interested! The point about honesty and TRUST is great! I'm trying to split up my comments, so I hope it's okay that I'm posting a bunch. One other issue I see with using purees to "hide" something is it seems to come from an idea that that particular vegetable is so important that kids *must* eat it even if they don't like it. But there's nothing with such rare and special nutrients that kids can't get what they need from other things. If you provide kids with a range of fruits and veggies (and everything else), they'll get what they need. As a kid, I deeply disliked beets. Sure, they're healthy. They have some fiber, calcium, Vitamins A&C, and iron. So do blueberries, which I could happily eat by the handful. Another issue with "hiding" foods is that it takes away the opportunity to find ways to cook something that the kid does like. In experimenting with foods, I've found a couple things (particularly spinach and radishes) that I like some preparations and despise others. I thought for a while that I didn't like those foods, period. Like that spinach…rather than trying to sneak it into things, how about serving it lightly sauteed with garlic, or raw in a salad. Different preparations can help you figure out what your kids (or anybody you're cooking for) likes and doesn't like about a certain food. My issue with radishes is bitterness–cooking takes care of that. My husband doesn't like the texture of mushrooms, but has no issues with the taste. I think the more you know about what, specifically, people like and dislike, the easier it becomes to feed them. I don't have kids, so my thoughts on feeding them are all very theoretical at this point, but I much prefer honesty to sneaking things in. If you're using a puree as an easy way to get vitamins or a nice color or a particular flavor, great. But when you have to lie about what's in it, I see that really messing up a kid's trust in you and their relationship with food. On the other hand, there's nothing wrong with describing things as appetizingly as possible. Like if I wanted a kid to try sushi, I would avoid the phrase "raw fish and seaweed," because that just sounds icky. Ooh, muffins! Thanks for the recipe, Restless Native. I may have to make strawberry banana muffins while strawberries are still in season. And I bet my husband would *love* pineapple muffins. Thanks especially for the idea of freezing them, and how to do it. Thanks, FFD! Alas, I'm blog-free. Pumpkin is our house favorite, but orange/pineapple or carrot/pineapple/white raisin are well-received, too. I also sometimes omit the sugar and add cheddar cheese and crumbled bacon. These are really good split and toasted for breakfast. I have another muffin trick you might need if you're going to make a whole batch of muffins. A little old lady told me years ago that muffins stay fresh-tasting best if you let them cool and stick them in a brown paper bag, roll the bag down, and put that in the freezer. I'd been using plastic wrap or a ziplock bag if I thought to freeze extras at all. Well, I was curious (and skeptical), but I have to say that she was absolutely right! Now I do this with all muffins we're not going to eat right away. They thaw pretty quick on the counter, or are ready to go if you zap them for about ten seconds in the microwave. They'll keep at least a month in the freezer if you use a clip or something to hold the bag closed. Thanks RN! Do you have a blog with recipes? Those all sound wonderful! You give some great examples of the distinction between cooking and getting creative with great ingredients vs trying to hide some pureed squash into mac n cheese. You are broadening, not limiting your children's exposures, you are making yummy food that you would eat (I doubt Jessica Seinfeld dines on Mac-n-cheese ala squash) and your intent is positive and nurturing. I'd love the pumpkin recipe and more! I didn't/don't sneak, but I do get creative. 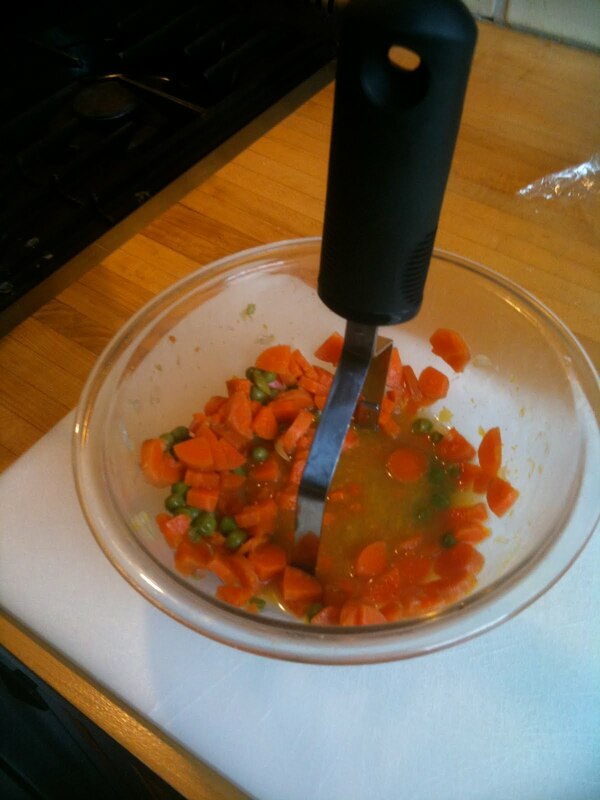 And that's what I think you were doing with the peas and carrots. My goal was boosting nutrition and enhancing variety of foods. When my kids were younger and veggies were suspect, I had a couple of standbys. One was pumpkin muffins. Canned pumpkin is one of the real gems down the grocery store aisle, and I have a recipe I use the whole can in. I often used these as an after-school snack with some cream cheese spread on top where icing would go. Voila! Something yummy with solid nutritional value that looks like a cupcake. You can do the same thing with zucchini bread or carrot muffins. Sweet potato biscuits with a sliver of country ham was another happy way to get familiar with a veggie. Spaghetti is an excellent way to get veggies in. And chili as another poster mentioned above. Don't forget lasagna! If I mix some spinach into the ricotta layer it's not objectionable, but I don't necessarily stand there and point out that it's there, either. Another method I used was the "cocktail hour course". I could push dinner back a bit, but set out a plate of cut up veggies and dip, or small crostini with chopped tomato under a little melted cheese, or even bean dip, guacamole, salsa and a few chips (I often made individual nachos by putting a bit of that stuff on a chip with some cheese and running them under the broiler–this gives you some portion control), and the kids would end up noshing a bit as they ran in and out of the kitchen. This worked well because the kids were very hungry at that point, and it seemed like party food rather than an extra veggie at dinner. I "accidently" taught my kids and several of the neighborhood children to eat steamed articokes with a melted garlic butter by this method. Kate, very interesting point about trust and adoption in particular. Food can be such an amazing avenue for attachment, or a vehicle for conflict. I really recommend all parents read "Child of Mine." The Minnesota Clinic for International Adoption recommends the book too. I think approaching feeding and attachment from a place of providing, nurturing, STRUCTURE and reliability are super important. Many of these kids have been fed in a haphazard way that can provoke anxiety and difficulties with eating the right amount. If there are any weight concerns in terms of the child's growth pattern, it is even more critical to be informed. Thanks! Heidi, if what you are doing works for you, your kids and their temperament, then by all means go for it! When I talk about feeding, and recommend against it, I always get parents who insist on the one-bite-rule. When I ask, "how's that working for you?" it is sometimes an A-ha moment! So, I'm glad your kids do well with it, but some parents find that with a child with the right temperament, it can make dinner hell! Families are all so wonderfully different and complex, I always try to work with what works for each family. Thanks for your comments! 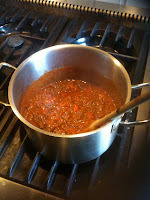 I almost always put carrots and celeri in my bolognese sauce, as you did, or in chili, just because I like it that way. I don't sneak anything, I cut them in little pieces about the size of the pieces of meat. I add garlic and onions, also, but I'm not sure they count as vegetables ?. We attended a meeting with other adoptive, soon to be adoptive, and foster parents and some of them were talking about ways to sneak vegetables into food and I just thought that was a terrible idea since these kids have already had a lot turmoil in their lives and building trust is one of the hardest things to do. Ultimately, the parent is going to get caught and I think it best to avoid tricking the child into eating something unless it is completely nutritionally required. I don't sneak. I do insist (and I know some people think this is wrong, but it works okay for us) that he try a single bite of new foods on his plate. He knows that if he doesn't like them, he doesn't have to eat anything more…and considering how non-picky he is, he usually ends up eating it. But I think sneaking things into food is really breaking trust. There seem to me to be far better ways of getting kids to eat (like getting them involved in food prep, etc. ), except in the most problematic cases of texture/sensory issues.